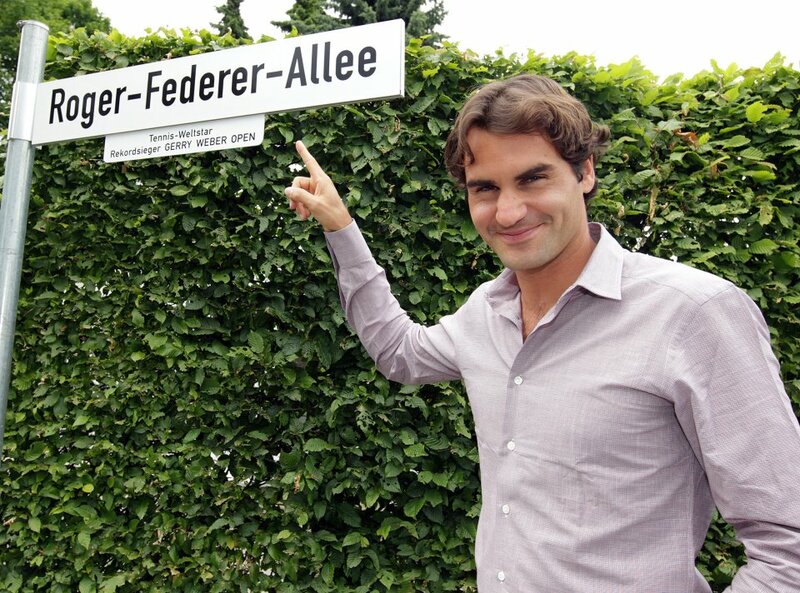 Roger Federer has a street with his name in the town of Halle, Germany. The city holds the Gerry Weber Open, a grass court tournament, which is one of Federer's favorite pre-Wimbledon tournament. The Swiss has won in Halle for five times now. The sign was presented on Monday by Halle mayor Anne Rodenbrock-Wesselmann, tournament director Ralf Weber and Federer himself. “It is a great honour for me that a street is named after me,” said the 30-year-old Swiss, quoted by the ATP Tour website. 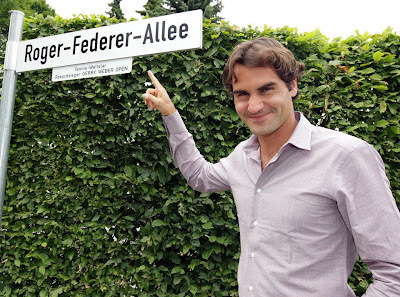 The street leading to the Gerry Weber Stadium and event center, known as Weststrasse, is now called the Roger-Federer-Allee.